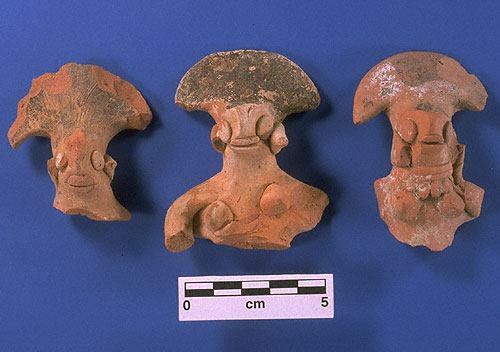 Three female figurines with painted fan-shaped headdresses from Harappa. Could these headdresses have represented black hair stretched over a frame of bamboo or other material? See also Gender and the Indus People: An Unusual Male Figurine and Harappan Female Figurine.